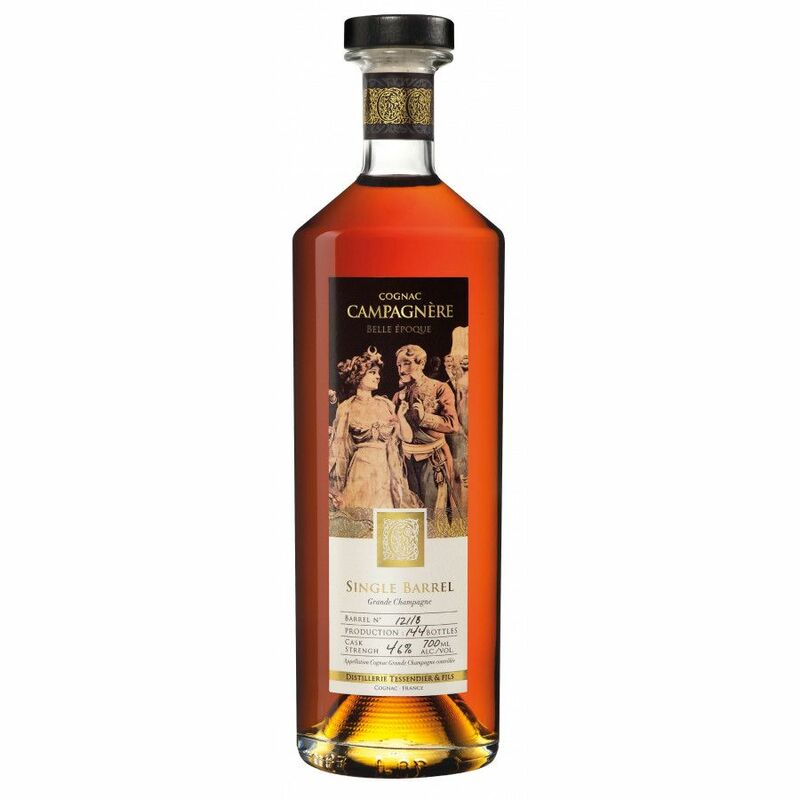 The Campagnere Belle Epoque Grande Champagne Cognac is one of a series by Campagnere of single cask Cognacs. The ethos behind this series is to illustrate truly athentic producers create by small producers. This was a far more common practice in the early 20th century, when small, family run Cognac houses were the norm. So all of the Cognacs within the Belle Epoque series are, if you like, a step back in time. This offering is from the premier cru of the region - Grande Champagne. Because it's a single cask Cognac, it truly represents all that is great about the chalky soils of this terroir. To ensure that the typical nature of this cru are truly revealed, the selection is restricted to the following years: 1970-1975. It's an overproof Cognac, and the Campagnere cellar master recommends either adding a little water, or drinking it 'on the rocks'.